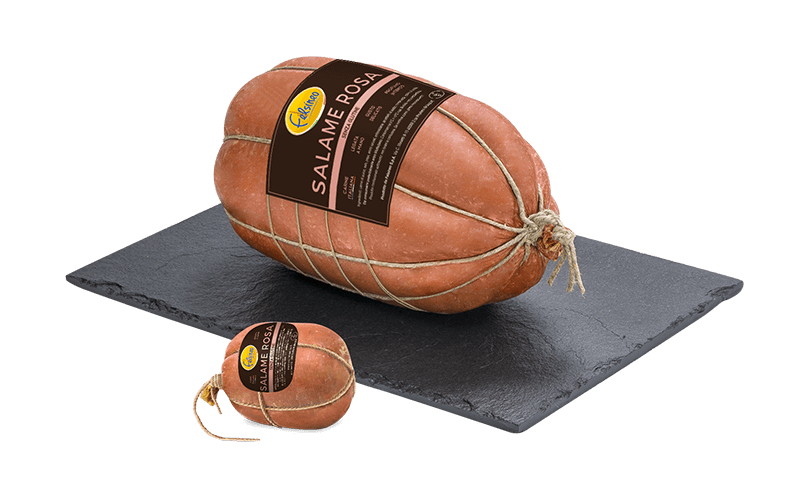 Produced according to the traditional Bolognese recipe, the ‘salame rosa’ is obtained using only selected meat cuts. The spicy notes enhance the full aromatic flavour. Pork, salt, pepper, garlic, antioxidant: sodium ascorbate, preservative: sodium nitrite.